Looking for highly rated Cabo San Lucas hotels? Check out our post to learn the best hotels to stay in while visiting Cabo. Cabo San Lucas is one of the top rated destinations in Mexico, with countless amenities to attract travelers from all over the globe. This city has a rich history, great weather throughout the year, and endless sunshine. Travel to Cabo by plane, car, or cruise ship, and enjoy the white sandy beaches, lively nightlife, and amazing restaurants when you get there. Another perk of the area is the long list of all-inclusive resorts and other excellent accommodations. 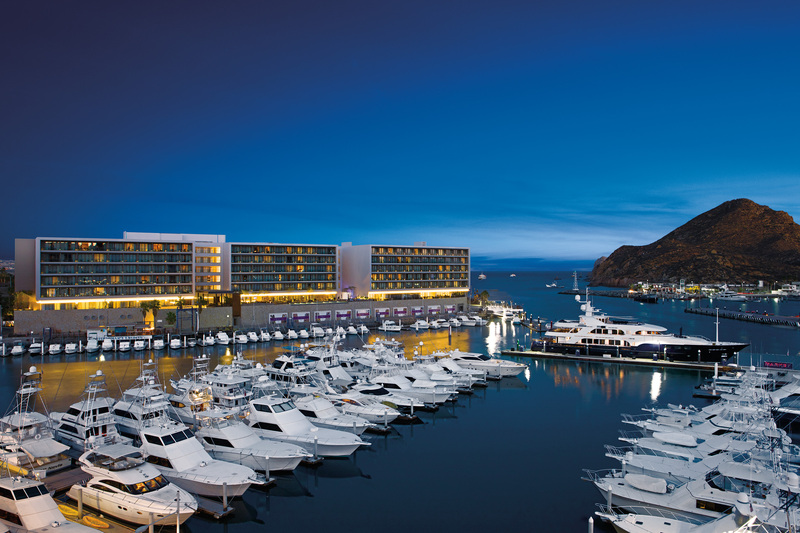 Keep reading for our list of top Cabo San Lucas hotels. Get ready to experience the luxurious accommodations of Breathless when you book your stay here. This impressive hotel located on Medano Beach will give you the best blend of entertainment and ultimate relaxation complete with an all-adult "mix-and-mingle" atmosphere. You will experience lively music, dancing, parties and shows as well as their world-class spa, stunning views and 24-hour room service. You can't miss out when you book your stay at Breathless. This spacious resort has everything you could need during your stay in Cabo San Lucas. Find top-rated restaurants, high-end pools, beach access, and plenty of activities to enjoy during your stay. The staff goes above and beyond to deliver superior customer service and ensure you have a comfortable, memorable stay. You’ll love being treated like royalty and feasting on excellent meals at this luxury hotel. This hotel stands up to the Marriott reputation of true attention to detail and outstanding service. You’ll love relaxing in the infinity pool, tanning on the large private beach, and enjoying the high-end cuisine offered at the Sheraton. The hotel is known for impeccable standards of cleanliness and is a great family-friendly option. If you’re looking for a unique experience during your stay in Cabo, check out Pueblo Bonito. This all-inclusive resort showcases a gorgeous Mediterranean vibe and overlooks the stunning Sea of Cortez. The boutique services at Pueblo Bonito are unrivaled, with special touches like poolside waiters, VIP lounges, and personable concierge services. This all-inclusive family resort is the perfect getaway for even the youngest travelers. The hotel is set on the tip of the Baja California Peninsula, with desert dunes on one side and gorgeous rock formations on the other. The beachfront has scenic views and is just minutes from the warm and calm waters of the Sea of Cortez. The modern style and ocean views make for a dreamy and relaxing experience for all. Grand Velas focuses on attracting the most talented, personable staff to make your stay as effortless and enjoyable as possible. 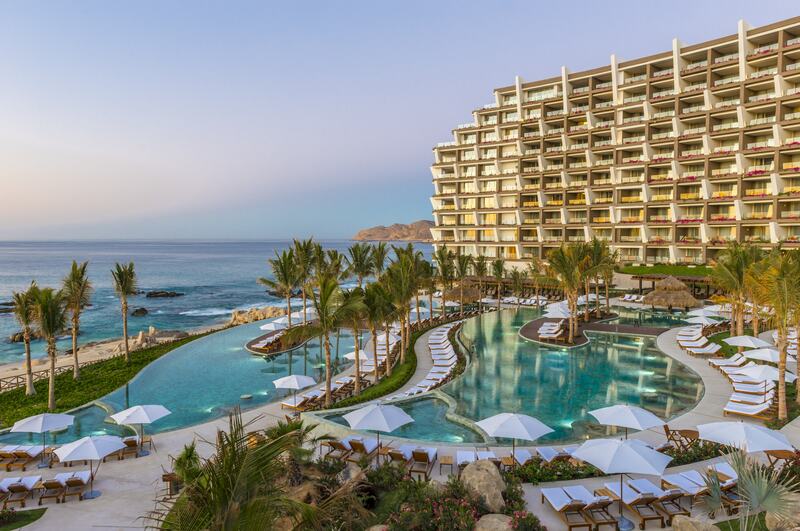 The staff exceeds expectations and pampers guests with deluxe services like multi-tiered infinity pools, Mexican-inspired spa treatments, and live music and dancing. Now that you know the best Cabo San Lucas hotels for your stay in Mexico, what are you waiting for? Book a tour through Cabo Adventures!